A beautiful frosty November morning in Plainfield, Vermont. 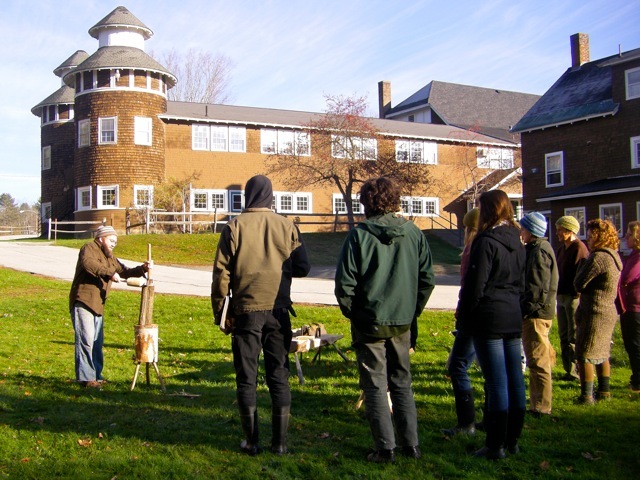 Just outside of the Flanders Building at Goddard College, which serves as the office for EarthWalk. 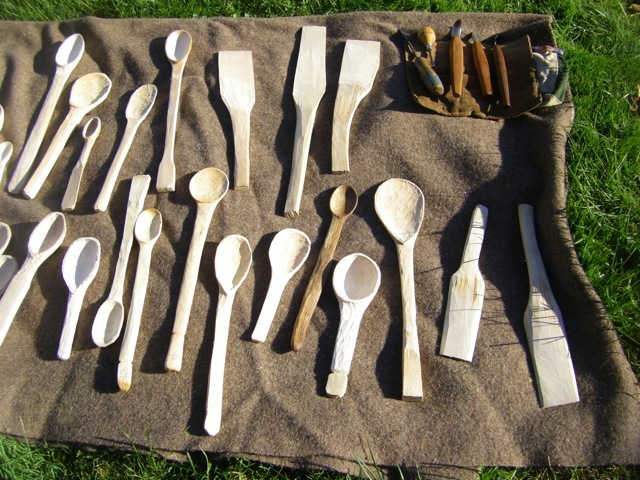 What a fine morning sharing spoon making techniques with these wonderful and deeply talented folks… Thank you for sharing your morning with me and being so inspired and inspiring! 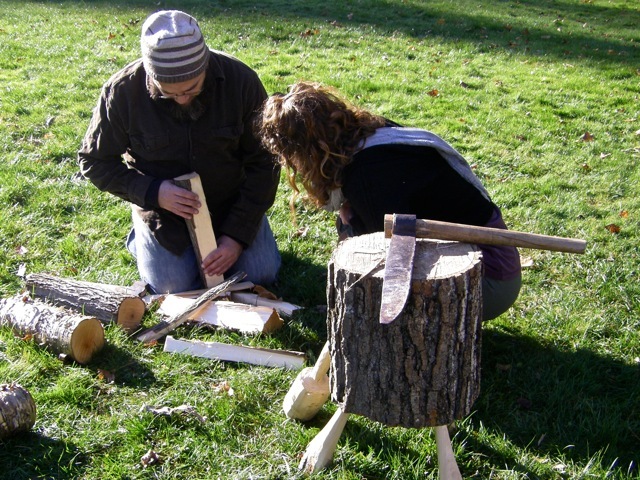 Demonstrating the riving, or splitting out, of spoon blanks with the Froe and Mallet. Examining the wood grain of a Maple billet to determine a good orientation for a spoon. 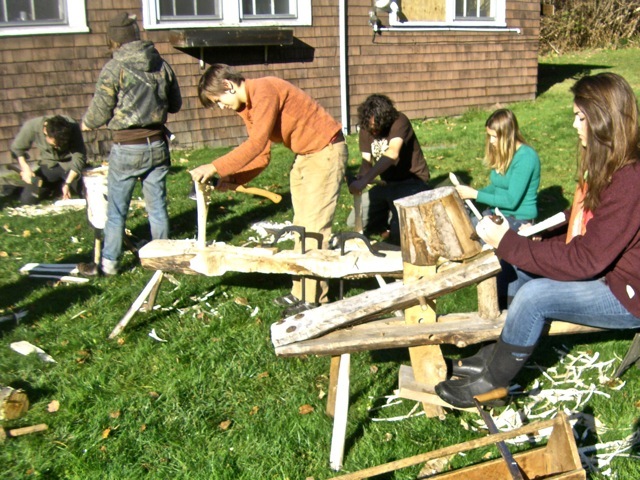 See a very old and large Froe in the foreground on the chopping block. Determination in the beautiful morning sun! See in the center a “Roman Bench” with iron holdfasts, which are used to clamp down the workpiece. A versatile and easy to make set up, and good for chisel work on the bowls of large spoons, or on bowls with chisels and the adze. 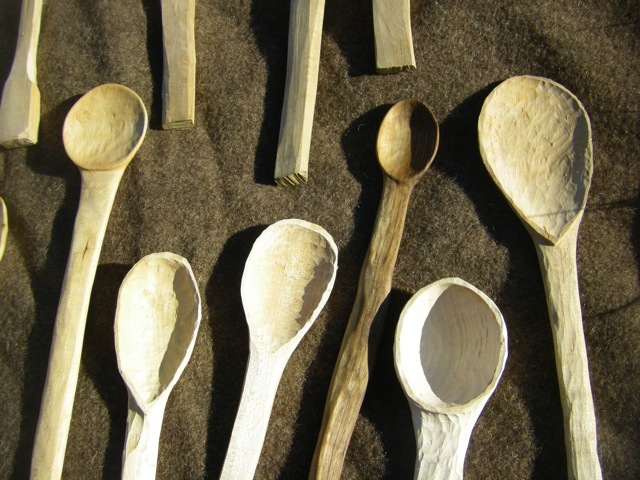 A variety of my unfinished spoons and spatulas and the hand tools used to make them.